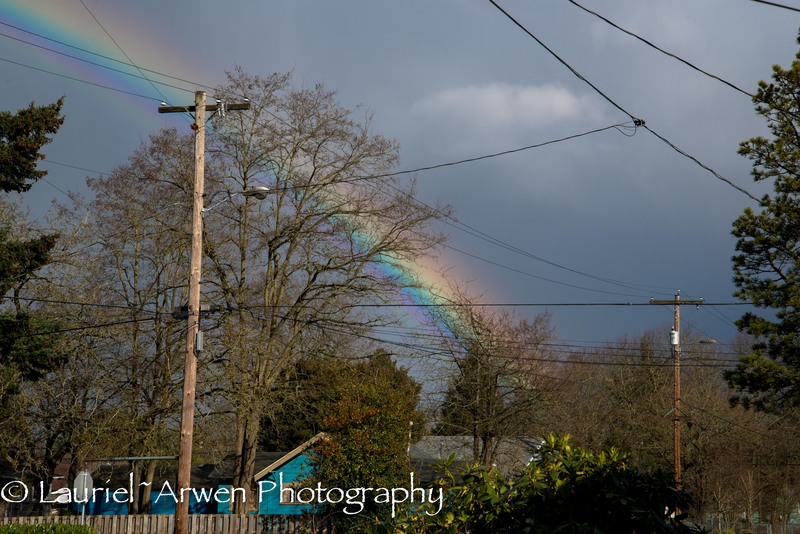 This entry was posted in Photography and tagged photography, Portland, Rainbow, winter on February 16, 2013 by Lauriel~Arwen. Nice one. Bright one. 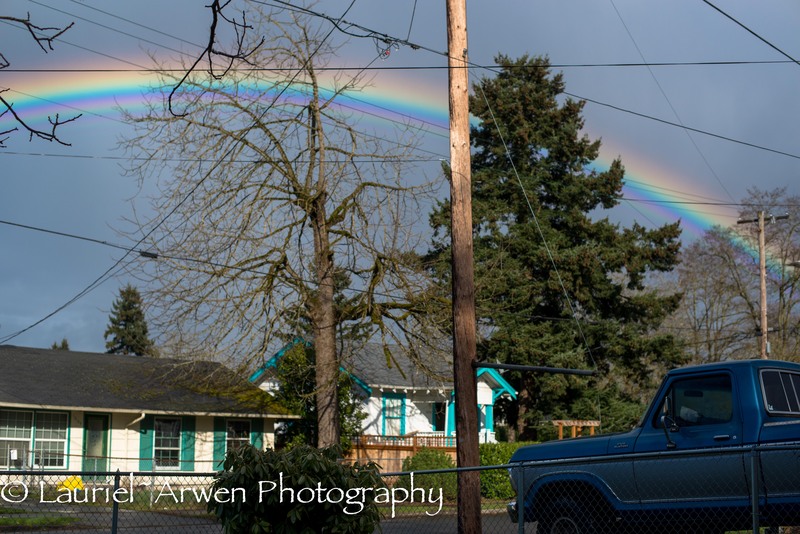 Ever see a double rainbow? I was in drive-time traffic and when it happened, everyone stopped their cars, got out, and watched. Amazing. Ah, great. I didn’t have a camera on me . . . nor the eye of an expert.